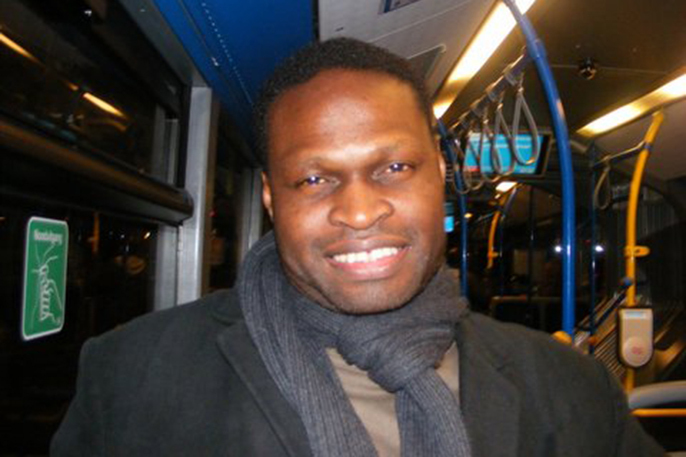 Alfred Fagon Award nominee Oladipo Agboluaje, shortlisted for his play Fractures talks to Afridiziak Theatre News. The Alfred Fagon prize focuses on plays from the black community that there is so little coverage of and so it is significant in that respect. I’m definitely very grateful to be nominated. What are the main themes of your play Fractures? It’s the third part of a trilogy that started with The Estate in 2006 and was followed by Iya-Ile, which won the Fagon prize in 2009. It’s continuing on those themes of family, royalty, nation and identity. This particular instalment is more political than the previous two; it looks very much at contemporary Nigeria through the eyes of the same family that we’ve been following. In a sense it’s an update of where the protagonists from The Estate are now and how they’ve been able to fit into the political dispensations in Nigeria. So it touches on a lot of things to do with ethnic divisions, the nature of political corruption and religion as well. How much of your life and writing is influenced by your Nigerian background? A lot of it. I was born here but I went back to Nigeria when I was nine so I finished off my primary school there and did my secondary school and university education there as well. So even though I’ve been back here for a long time the Nigerian identity plays a major part because I studied theatre in Nigeria. So that influences my approach to writing and to theatre in general, so socially and culturally Nigeria plays a huge role in terms of artistic influences and even to the extent of world view. It plays a major part. What would you say is specifically Nigerian dramaturgy? I hesitate to answer because I have been away for so long. I can say that in the last few years there has been a big influence on Nigerian theatre because of the Fela! musical. There’s been two similar plays since; one called SARO and one called Kakadu and they’re termed ‘Broadway Musicals’ produced by Nigerians about Nigeria in Nigeria, so that’s had a huge influence. One of my collaborators, Femi Elufowoju Jr. who used to run Tiata Fahodzi recently directed a play in Nigeria, which he directed in a kind of ‘poor theatre’ style. There were no sets or big costumes, which is so radically different to the Fela! style musicals so it was a real eye opener for the actors and audience. The theatre going culture in Nigeria isn’t as strong as it previously has been; people are more influenced by watching Nigerian films. But having just returned last night from a trip to Lagos I did meet several playwrights and it seems to me that there is a focus upon smaller production in smaller arenas. The work they’re producing at that lower scale is carrying on from writers like Wole Soyinka, or Femi Osofisan. So returning to an earlier era in some ways. You’ve worked with Tiata Fahodzi several times. What is it about that theatre company which draws you to it? Mainly that it being an African theatre company means that things don’t have to be explained. There’s a level of shared consciousness and experience. Also they are more willing to put on plays, which might not have a completely universal appeal. They have always been ready to commission works that are considered challenging. What does being shortlisted for the 2013 Alfred Fagon Award mean to you? It’s of course a good feeling as it means people recognise my work as being valid. Also the Alfred Fagon prize focuses on plays from the black community that there is so little coverage of and so it is significant in that respect. I’m definitely very grateful to be nominated.